Update 7/14/14: The winner is Janet W. Congratulations! This giveaway is now closed but check back soon for the one coming up. 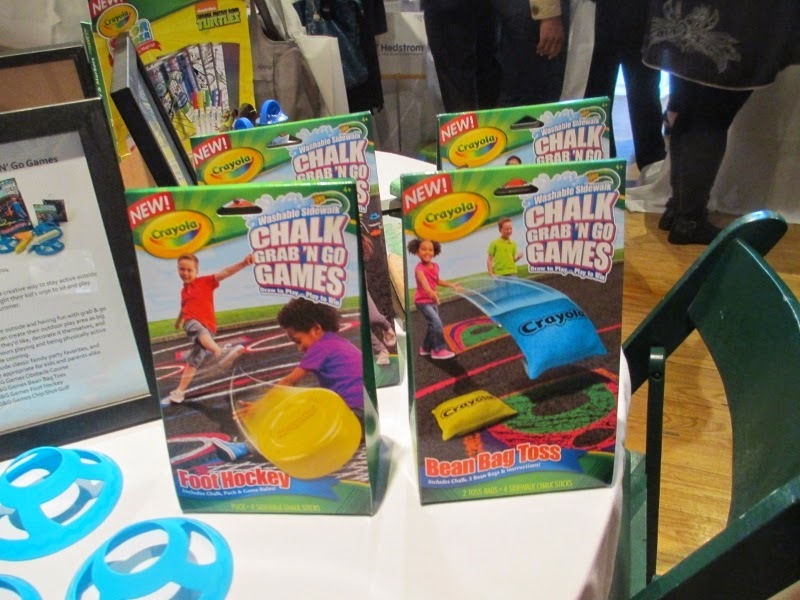 Crayola has a new series of outdoor Sidewalk Chalk Grab n’ Go Games that are perfect for summer. 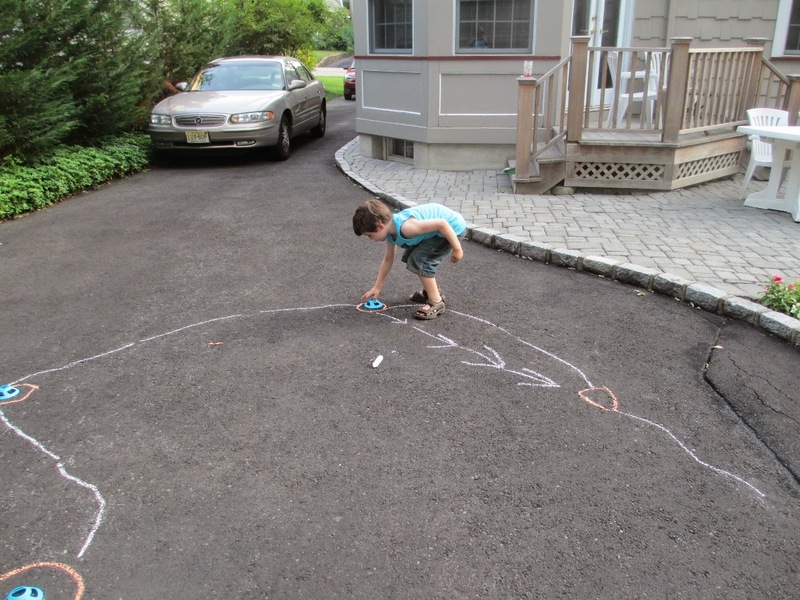 There are four games and each includes 4 sticks of washable chalk, props and directions for using the chalk to create your own “playing field.” They are inexpensive and have everything you need for some summer outdoor fun in a pouch like container. You can win the Chalk ’N Go Obstacle Course Game with a bonus pack of Crayola ultra-clean washable markers in the giveaway right here. Giveaway details are at the end of the post. I like the Bean Bag Toss and Obstacle Course for their classic simple games that they are. Grandparents who play golf will enjoy the opportunity to show off their skill and introduce a new game. I know that some grandparents have a summer camp outing at their house when all their grandchildren visit at the same time. 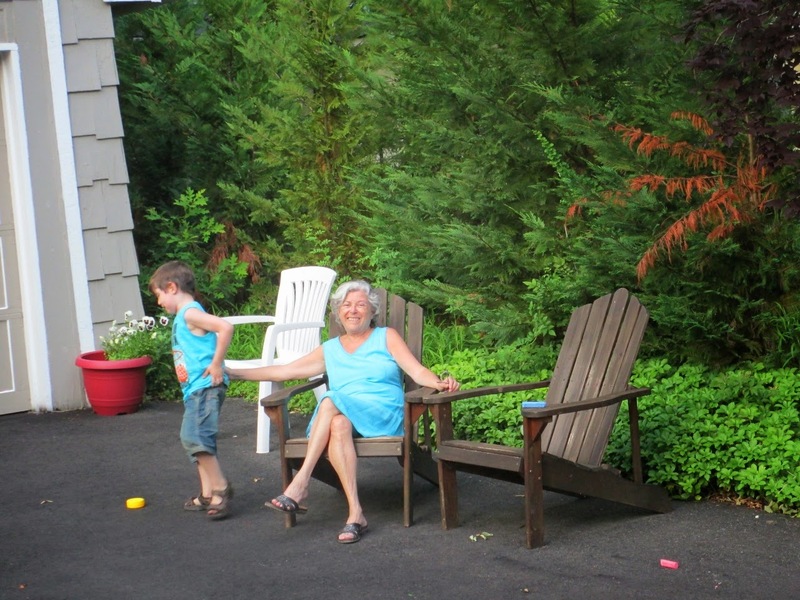 If you are a grandparent Camp Director you will definitely want to check these out. I love to write about things toys or activites that we played when we were kids or our kids played and still work for our grandchildren but have a new twist. These Crayola Grab ‘N Go games fit the modern approach of everything you need in the one container and still rely on the old fashioned simplicity of using sidewalk chalk imaginatively. I love it. 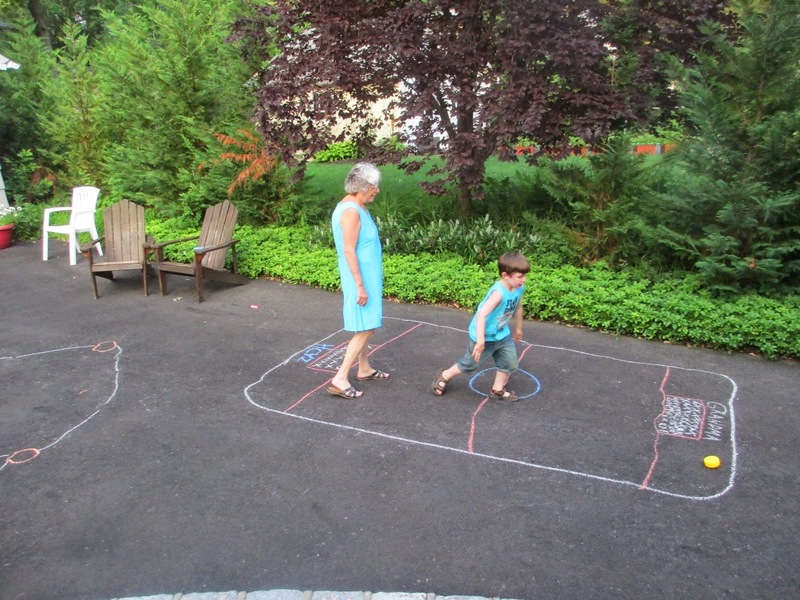 What I like best about these games is since you draw the playing field yourself using the chalk it can be designed for children as young as 4 and as old as teens or adults. 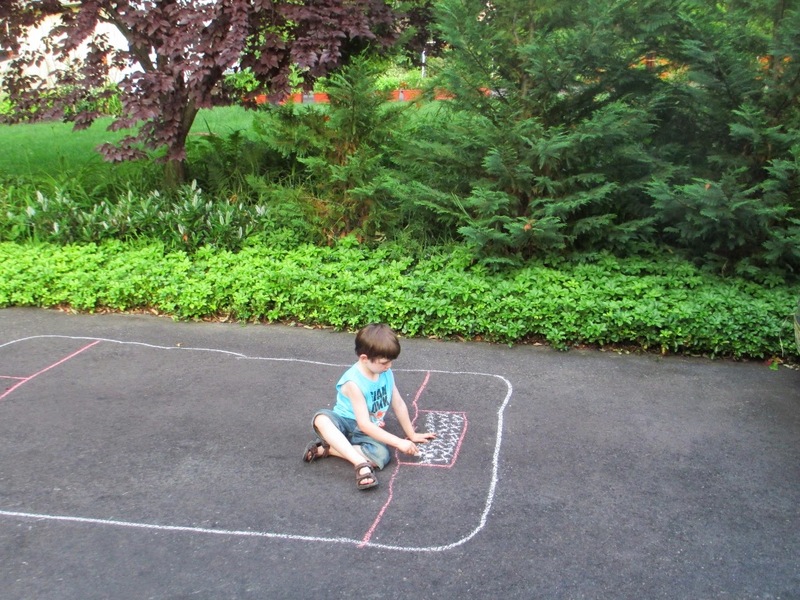 They are great for driveway play at a backyard picnic and can be drawn for any age group you would like. 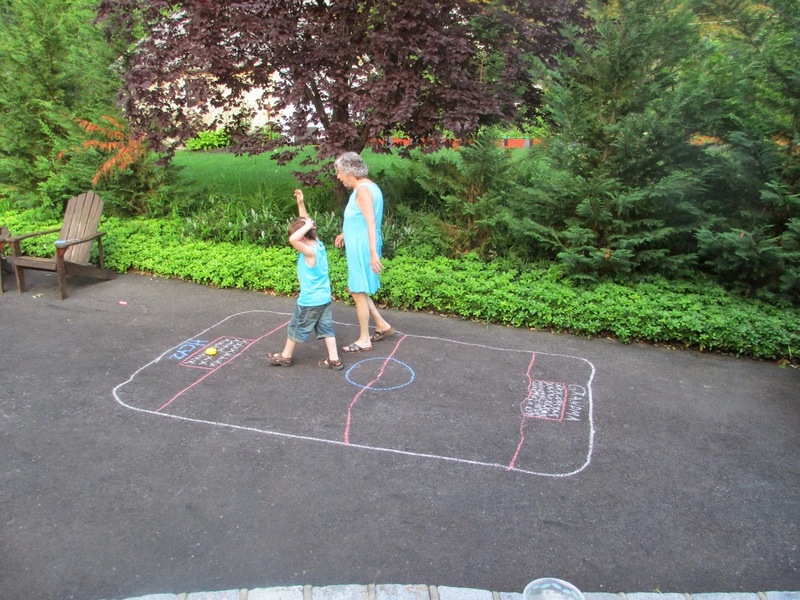 Here is my experience with my grandson, Zach, aged 5 with the Obstable Course and Foot Hockey games. The Obstacle course has 4 small “markers", 4 pieces of washable chalk and a directions sheet which shows various styles of obstacle courses. I started to draw the lines, but Zach quickly wanted to participate. So I drew to the first circle and we placed the marker and he drew the rest. Zach was up first…but his idea was that the course was just a starting point. He added that you run over to the soccer net and kick the soccer ball in (Well it is the same day as the USA Belgium World Cup match), then run around in 3 circles under a tree, loop through the swing side support 4 times, hand swing from the swing side support (Grandma gets a pass on this one), then 11 pushes of the bar on the baby swing and finally, finally……5 swings on the swing. We did this three times and then I needed to sit down. I was done... But Zach was not. Zach was just excited and wanted to play foot hockey now. Ok..as soon as I catch my breadth….. 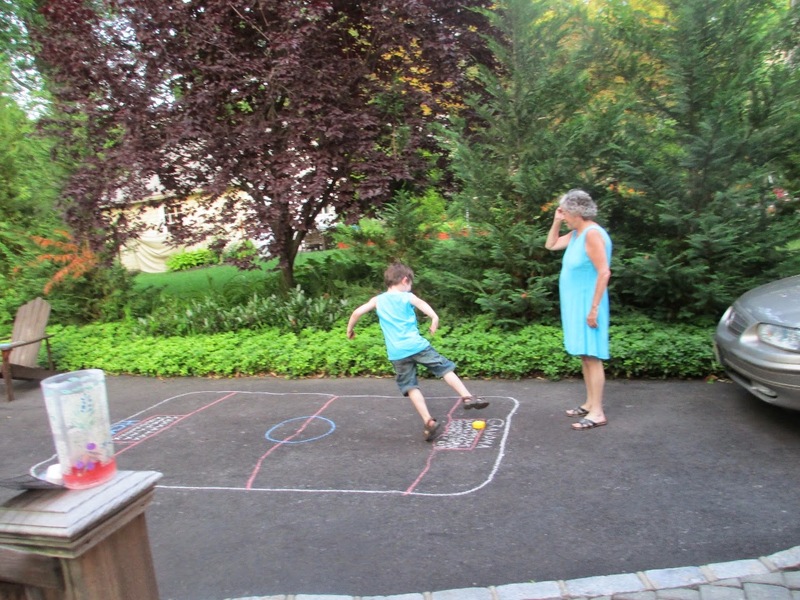 The Foot Hockey games has a yellow hollow plastic puck, 4 pieces of washable chalk (different colors than Obstacle Course) and directions. 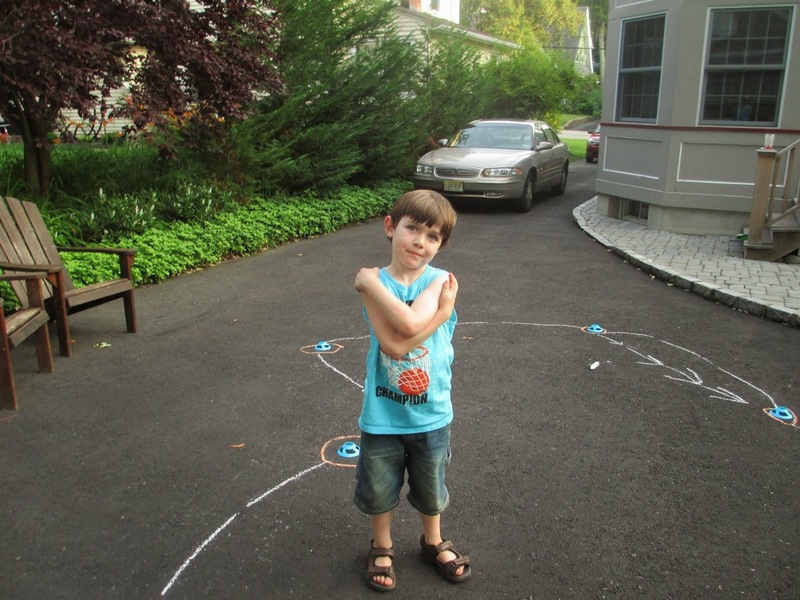 I started to draw the field on the driveway and soon Zach wanted to help. Fine with me. I started the edges and he completed them. We each drew our own goal area and wrote our name above it. We’re ready. Well the goal went flying on Zach’s first kick. We quickly learned that it had to be hit gently….But not before I got a sharp hit in my leg. Overall these games were a lot of fun. Since you draw the course yourself it can be as simple or difficult as you would like and is readily adjusted for different ages. I didn’t expect that it was also the opportunity for creative play but Zach’s spontaneous expansion on the obstacle course demonstates that it is. 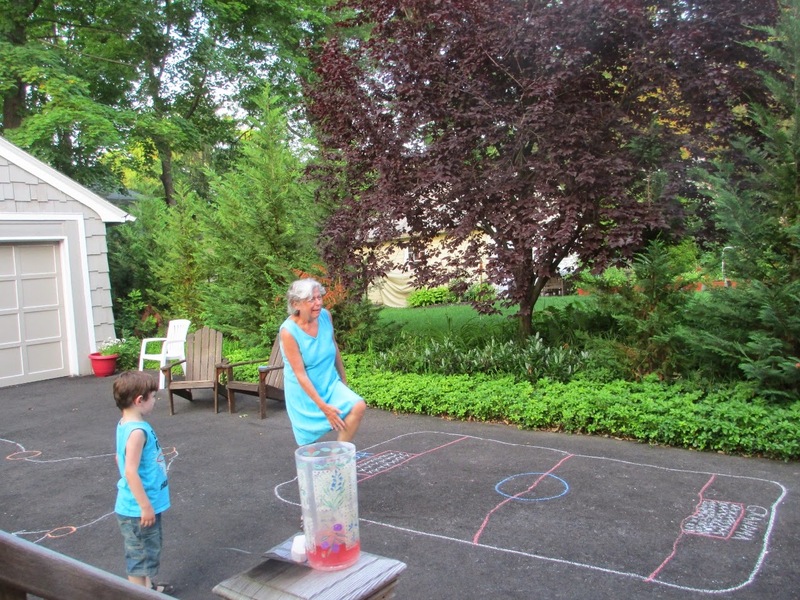 Bottom line assessment – Lots of fun, inexpensive, flexible but be prepared for a workout if you are a participant! You can have two entries by doing both. Deadline to enter: July 13, 2014 at midnight. The winner will be selected using random.org. You can purchase the Grab ‘N Go Games at Amazon and other retailers. Amazon links are provided below. I'm a first time Grandma and looking forward to reading more of your blog. Have also "liked" your Facebook page. These products would be great for my grandsons! Crayola is so innovative! How fun! Thanks for the chance! We love Crayola products. Looks like it could be hours of fun!! !